Ideum gathers to test Space Flight Academy, a new exhibit for the National Air and Space Museum. Ideum technicians arrived in Washington, D.C. this past week to install four newly updated exhibits in the Smithsonian National Air and Space Museum. 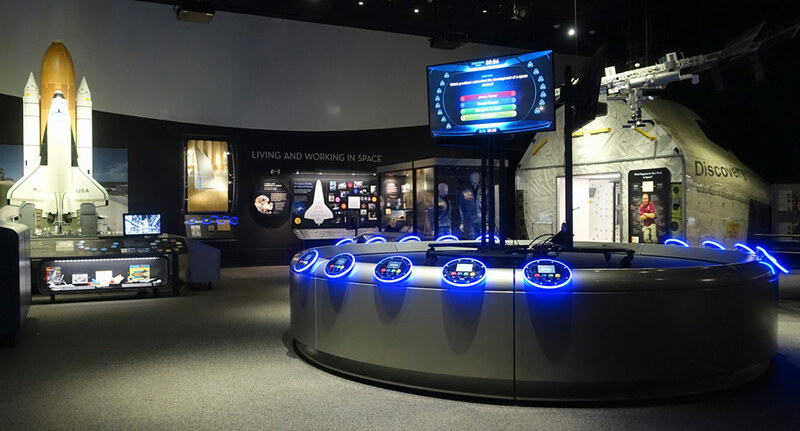 The Smithsonian received custom software and hardware packages designed to enhance their visitors’ understanding of space travel in the gallery Moving Beyond Earth. The Air and Space Museum is renowned worldwide for its combination of artifacts and experiences. (In fact, 2017 attendance figures from the Themed Entertainment Association show that the Museum is the third-most-visited museum in the world, and tied for first in North America.) 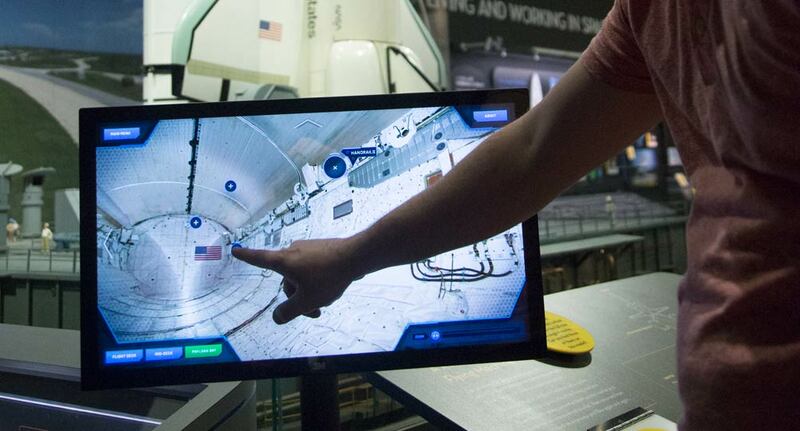 These new exhibits enhance visitor opportunities for interactive learning and social interaction around key concepts in space exploration. The four exhibits include Space For You?, an aptitude-style test that determines visitors’ best-fit occupation in the field of space travel. Inside Discovery is an interactive exploration of the Space Shuttle Discovery, which flew 39 NASA missions between 1984 and 2011. The Flight Director exhibit is a simulation of the real-life STS-49 mission of the Shuttle Endeavor that puts visitors in the seat of Flight Director Al Pennington. Finally, Space Flight Academy, the most technically complex of the four exhibits, lets visitors test their knowledge of the history and science of space exploration. 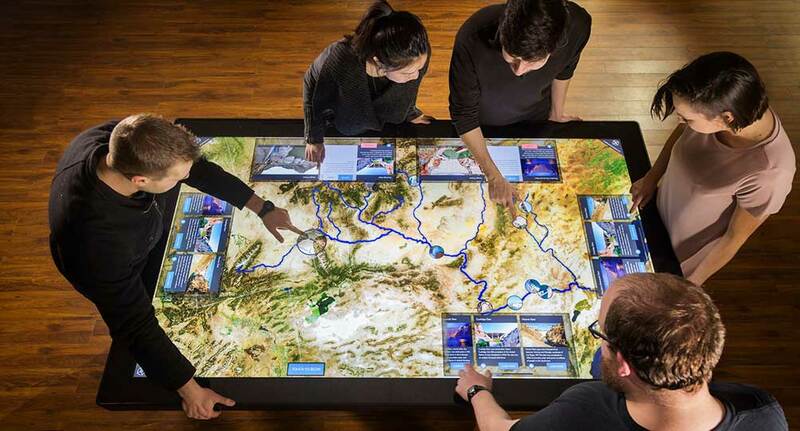 These experiences are joining Design It!, a massive touch table exhibit designed and installed by Ideum in 2015. 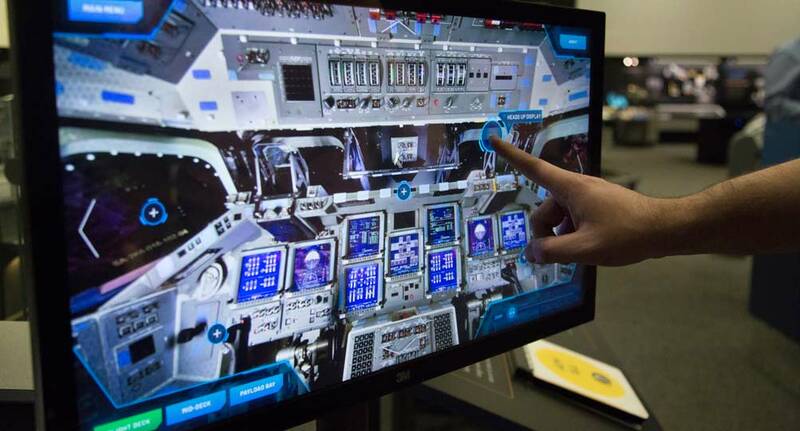 This multiuser exhibit allows visitors to create their own module for the International Space Station and runs on an Ideum Colossus touch table. In preparation for the installation, Ideum’s Creative Services and A/V Departments gathered to test Space Flight Academy. This multiuser quiz game is designed to test Smithsonian visitors’ knowledge of the history and science of space travel. The exhibit allows up to 15 players to compete for Flight Ready status. 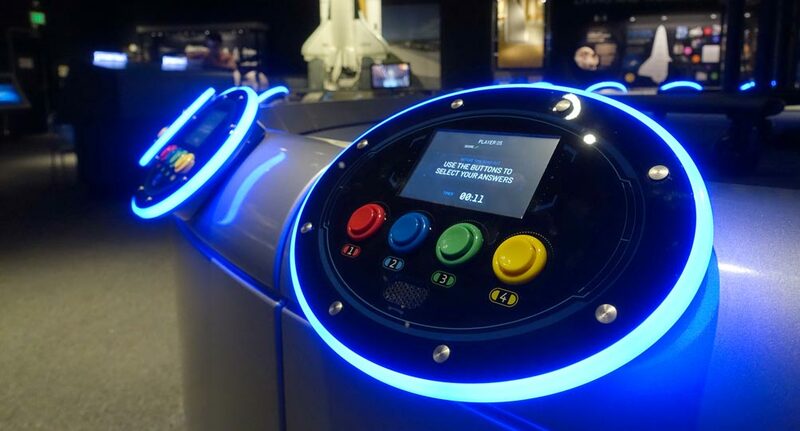 Each player stands at a control console and uses arcade-style buttons to answer multiple-choice questions. The game stations are powered by individual Raspberry Pi microcomputers which feature 5” full-color screens, integrated speakers, and LED lighting for instant player feedback. All players must answer a set of 10 questions which are displayed on three 55” LG 4K Ultra HD displays. The questions are randomly selected from a pool of over a hundred questions curated by the Smithsonian. 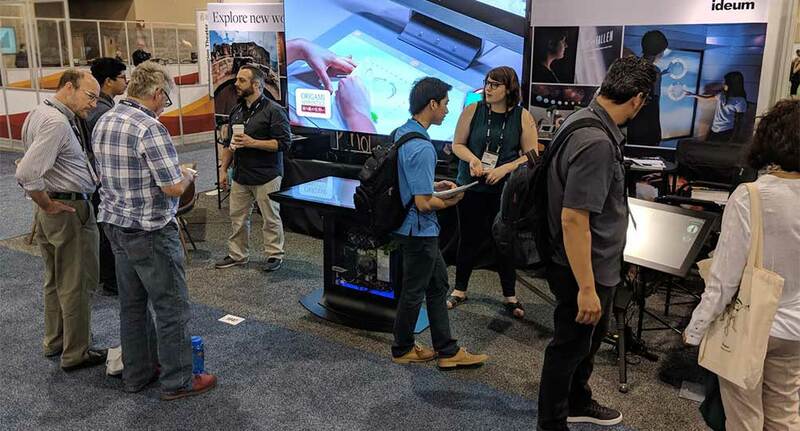 The exhibit is all tied together by custom software designed and developed by Ideum’s Creative Services team. Our test run was a great success. The controllers are fun and intuitive to use, and although some of us are still In Training, more than a few of Ideum’s team are Flight Ready! All four new exhibits were successfully installed at the Museum this week. Moving Beyond Earth reopened on Saturday May 26 in time for the Memorial Day weekend. To learn more about this exhibit please see the description in our portfolio.